This yarn is so yummy I could eat it! It's called Gelato so it sounds yummy too. A 50/50 cotton/acrylic blend gives the best of both worlds. Hubby took me yarn shopping (because he awesome!) and he spotted this yarn and pointed it out to me. I'm so glad he did! Gelato is a lovely yarn to work with and gives the prettiest finish to your work, holding it's shape nicely. This is my first crochet lace project and I'm very pleased with it so far. 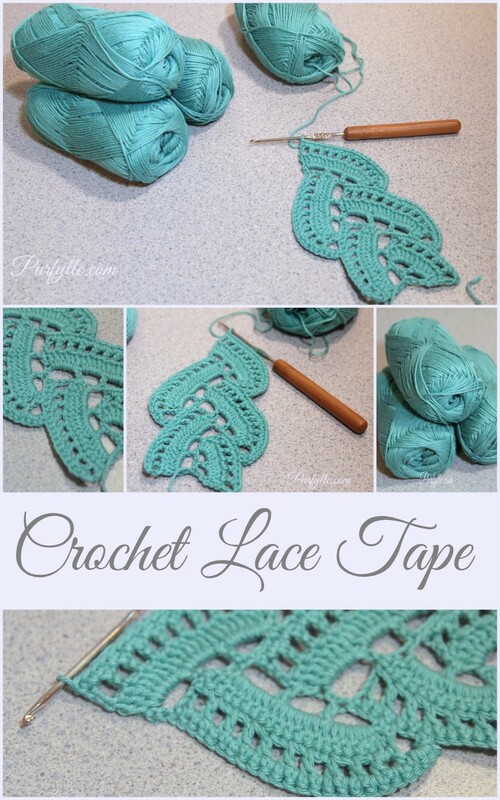 Have you ever made crochet lace? I think I'm addicted. To see progress on my lace tape project see Crochet Lace Tape - part 2. Update April 2016: I hope to pick this project up again as soon as my shoulder and back lets me start crocheting again. You should be able to find the video tutorial by Sheru Knitting here, just let me know if you can't find it and I'll hunt it down for you. i've never gone past the granny squares! But this is so beautiful and I love the teal colour you have chosen. It's turned out to be just as easy as granny squares once I got going. I love the colour to, I chose the yarn first and then decided what I was making and had to go and buy more. You would think I'd have learnt by now. 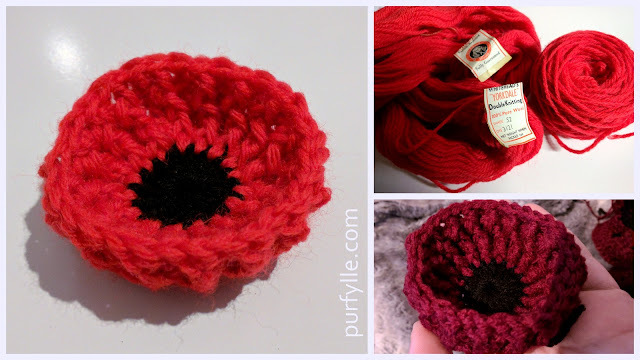 I did crochet a long time ago, but forgot it all! this is very sweet and the colour amazing, it does look yummy! I wrote you an email about the Blogger Recognition Award, I'd love to nominate you, I'm not sure you got it? That yarn color is so pretty and what ever you are making is going to be beautiful! Thanks for your lovely visit to my blog today. Love lace! I've always been too intimidated by it to even try. My hands are too crinky to crochet now. I love that word I just made up!! Super yummy yarn, and very lovely lace! I love lace patterns... Some are complicated for when you feel like a challenge, and some are repetitive and great for meditating over. I love how you can make it delicate with thread, or bold with worsted. But most of all, I love that yarn! That yarn is on special right now and I have several more balls to play with. My blue project is in the naughty corner while I think about what needs to be done and I am making little Christmas presents with the new colours. I love your Christmas tree interpretation. I just might have to make Christmas ornaments! 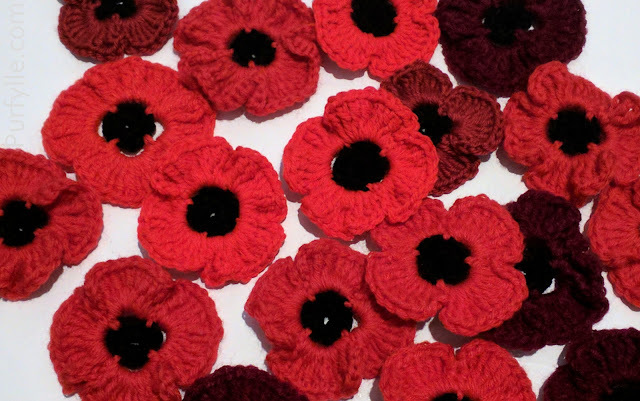 This is lovely.do you have a pattern for it? I totally forgot to come back and link to the tutorial! I thought I would have my project finished by now and have all the information in one place but it's been pushed to the back of the crochet pile while I make Christmas things. It's a 2 part you tube video by Sheruknitting. https://youtu.be/rR0JcTJJ5ew. Absolutely agree with you! Love the blend of cotton and acrylic too! I'm still loving it! It seems to be softer then straight cotton. Beautiful color! almost makes me want to learn how to crochet. Almost. My hook is 2.35mm (and numbered as a size 1) I hope that helps. Your work is beautiful. Can you give me an idea of what you used the tape for. Te only thing i can think of is a thin scarf. hello. l am a beginner crochet. can l know if l crochet lace tape and its gonna be long. but in the l want to increase the length also (means to be more wider). how do l connect then to another lace? Hi. I am using Bruge Crochet to join my lace tape. I will have some pictures showing how this is done perhaps next month. Will you please list the size needle you use and more information about the yarn? Thank you! The hook I used for this project is 2.35mm Milford wooden handled hook. A 2.5mm hook would work just as well.